Goslar (renewablepress) - When it comes to the wind energy industry, the know-how of German suppliers attracts international demand. This was evident in many discussions held between Quantec Signals representatives and visitors from all over the world at this year’s WindEnergy trade fair. Quantec Signals was able to sign cooperation agreements with two new partners while in Hamburg – agreements which significantly expand the international on-site presence for the supplier of aviation obstacle lighting systems. By rounding off the offshore portfolio of Goslar-based Quantec Signals with systems from Tideland, the American specialist for navigation lighting, the two companies already strategically joined forces over the course of 2018. Tideland is a member of the Xylem Group, which operates its own subsidiaries throughout the world. In extending its partnership with Xylem at this year’s WindEnergy, Quantec Signals now has the possibility to effectively support intercontinental customers with a local presence. On account of its significant acceleration in economic growth that has been taking place since the mid-1990s, India now ranks in the top third of the Global Competitiveness Index. The wind energy industry on the Indian subcontinent is also experiencing rapid growth, and as a result, all of the major manufacturers of wind turbines are already represented there. The turbines have long since reached a height and dissemination that require a legal regulation for their marking/lighting. With the prospect of being able to maintain existing business relationships in India with a local presence, and to expand its contact network to such an extent that it covers as many levels of local requirements as possible, Quantec Signals is taking the step into this market. 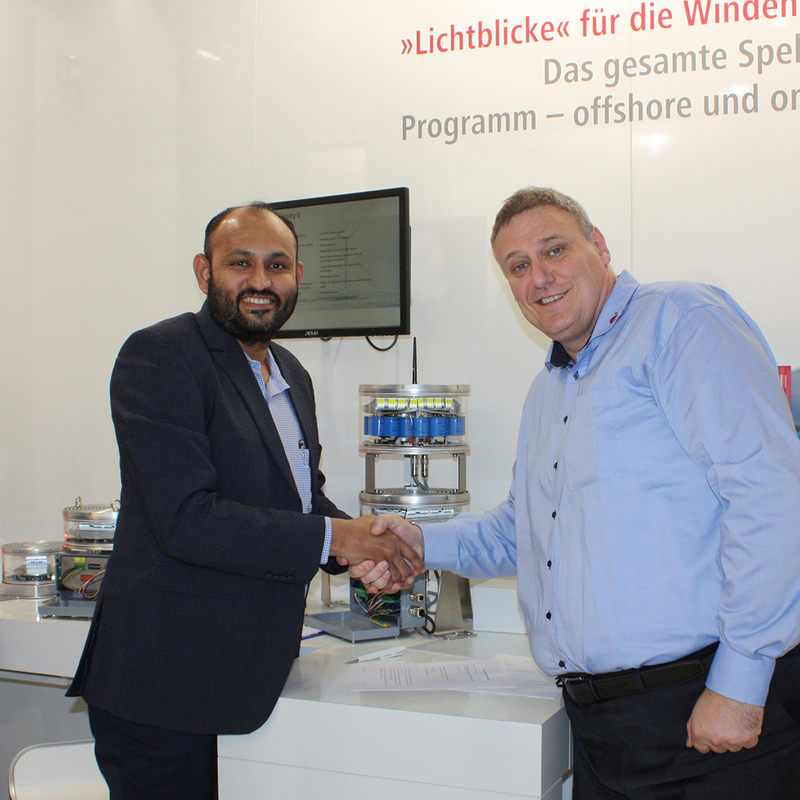 That’s why at this year’s WindEnergy, Claus Larsen, Managing Director of Quantec Signals, and C. Sundar signed a representative agreement. With an extensive list of contacts in the Indian wind industry, Sundar can look back on 15 years of relevant experience. In carrying out his work as Quantec Signals’ sales agent in India, he applies specialist knowledge when engaging in discussions with local customers and European companies. 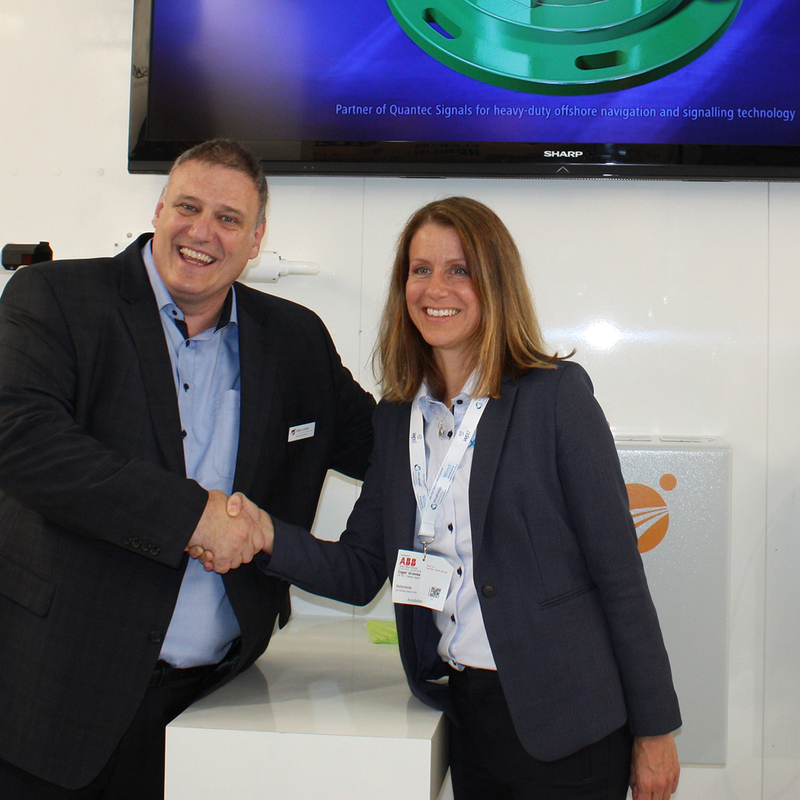 Handshake at WindEnergy 2018: Claus Larsen (left), Managing Director of Quantec Signals, and Inger Graves, Business Development Manager of the Xylem Group, agree to an extended partnership. Entering the Indian wind energy industry: C. Sundar, who represents Quantec Signals as a sales agent in India. Publication and Reprint free of charge; please send a voucher copy to Quantec Signals GmbH. Please note: The publisher of this press release »Quantec Signals GmbH« is responsible for the content.